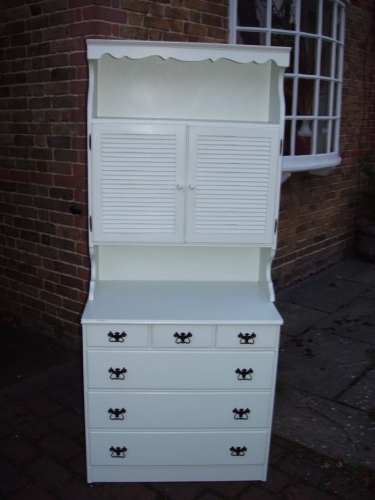 Dressers or Welsh dressers are always a popular item of furniture for a shabby chic transformation. That might be because there are a lot of them around, often dating back to the 1970s and 1980s…and sometimes much older! However, their age is really no problem when it comes to you wanting them to be painted. Or, indeed to us painting them in any style or colour you want. That’s because they remain a very popular item of furniture. 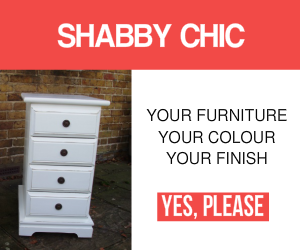 So popular, in fact, that when a home is re-decorated it seems only right to transform the dresser with a shabby chic paint job. With this paint job we had the task of transforming a pair of small Welsh dressers. We started with a good sanding for all the components. 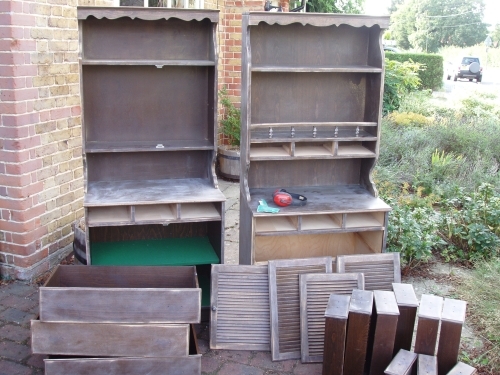 To do this properly we always remove the doors, hinges and all metalwork. This makes for easier painting and a superior painted finish. We followed up with a primer coat and then an undercoat. We typically use a white undercoat. But on occasions we will apply a coloured undercoat where a special shabby-chic effect is needed. Two coats of top coat are usually sufficient. But occasionally, where the wood demands it, we give the furniture even more coats. 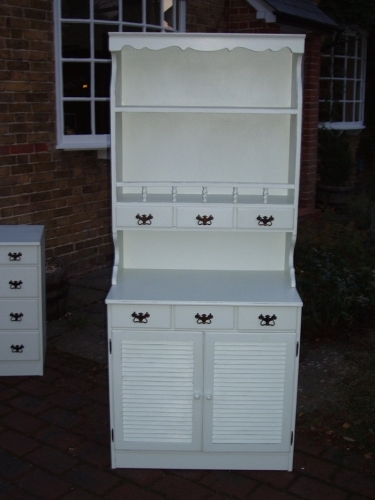 With this shabby chic transformation we gave each of the dressers three coats of Farrow and Ball Pale Powder. This proved a very effective light colour for the home’s colour scheme. However, if you rather like a paint colour treatment then there’s no doubt that colours are as popular as ever. And, we can help you with that. The Farrow and Ball colour chart is always a good place to start. But we paint with other colours and ranges when you want us to. So, if you want us to paint, shabby-chic or otherwise, your Welsh dresser, then please don’t hesitate to get in touch. Previous Post Green Painted Cabinet Sets The Tone With Newly Decorated Room Next Post Your Choice Of Shabby Chic Wax. Dark Or Neutral?